Got a spare $34,000 to drop on a camera? 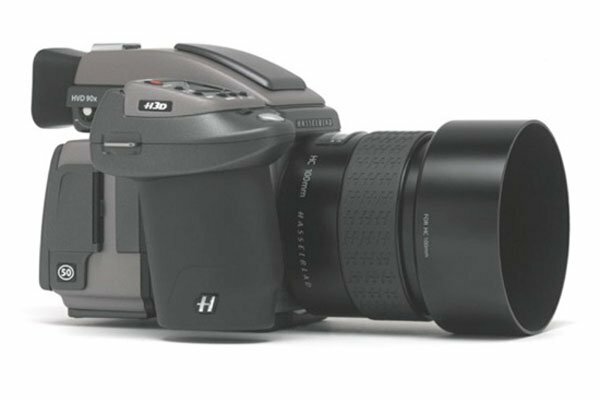 Then you may want to check out the new Hasselblad H3DII-50 MS. The Hasselblad H3DII-50 MS features a 50 megapixel sensor, and it can capture four shots in a row, the sensor is moved by one pixel between each shot to record full RGB values at each position. The Hasselblad Multi-Shot System, available with 39 or 50 million pixel sensors, allows you to capture even the slightest nuance of every detail, with definition crisp and clear enough to satisfy the most demanding client or to bring artists, scientists and conservators closer to their subjects than ever. And all this detail is created within the camera, requiring no extensive post-production or alteration. The Hasselblad H3DII-50 MS is available now for $34,000 from Hasselblad.